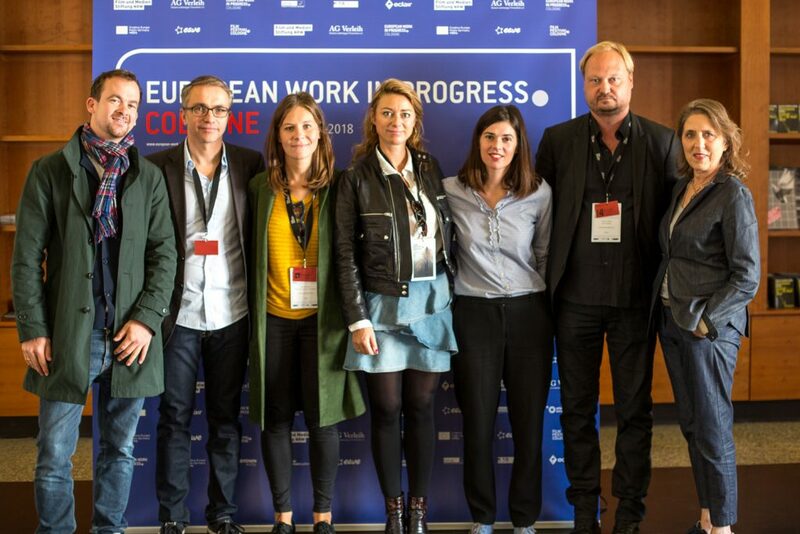 The new industry event EUROPEAN WORK IN PROGRESS COLOGNE 2018 has started with a great response: approx. 250 buyers and industry representatives are taking part and a total of 22 promising film projects from Germany, Italy, The Netherlands, Belgium, France, UK, Russia, Lithuania, Ukraine, Poland, the Czech Republic and Slovakia are presenting themselves to the industry during the three days of the pitch. This year’s international jury, Jonas Dornbach, Olimpia Pont Cháfer, Aistė Račaitytė and Pernille Munk Skydsgaard, will award four projects with vouchers for post-production services (€ 20,000, € 15,000 and € 10,000 donated by MMC studios and K13 studios). UNCONDITIONAL (LA FILLE AU BRACELET, Petit Film: France, Belgium) by Stéphane Demoustier: Lise is 18, lives in a quiet suburb and studies law. For the last two years she has worn an electronic bracelet as she is accused of having murdered her best friend. THE PENCIL (ПРОСТОЙ КАРАНДАШ, Victoria Studio/ Salt Studio: Russia) by Natalya Nazarova: After her husband is arrested, Antonina follows him to the northern province of Russia, where her urge to bring change to the community leads to a conflict with a local gang leader. EASY LOVE (Lichtblick Film- und Fernsehproduktion: Germany) by Tamer Jandali: Seven men and women in search of a balance between emotional security and sensual fulfilment. NOCTURNE (Lemming Film: Holland, Belgium) by Viktor van der Valk: Two producers, one night, an investor, a deadline, a woman, a gun and a hopelessly romantic boy. TASTE OF PHO (WT, Rohfilm Productions GmbH/ Lava Films Ltd: Germany, Poland) by Mariko Saga: An adorable story about single-Vietnamese father TEO and his ten-year-old daughter MAJA who live in Warsaw. THE THIN MAN (Open Palm Films Ltd/ Rather Good Films Ltd: UK) by Stephen Warbeck: A man’s journeys through France, chased by five angry men. Always one step ahead of his pursuers, he encounters strangers, stories and songs, in this musically rooted classic comedy.